See how service automation improves IT. See report on the Future of ITSM. See how to scale and adapt to increase value. 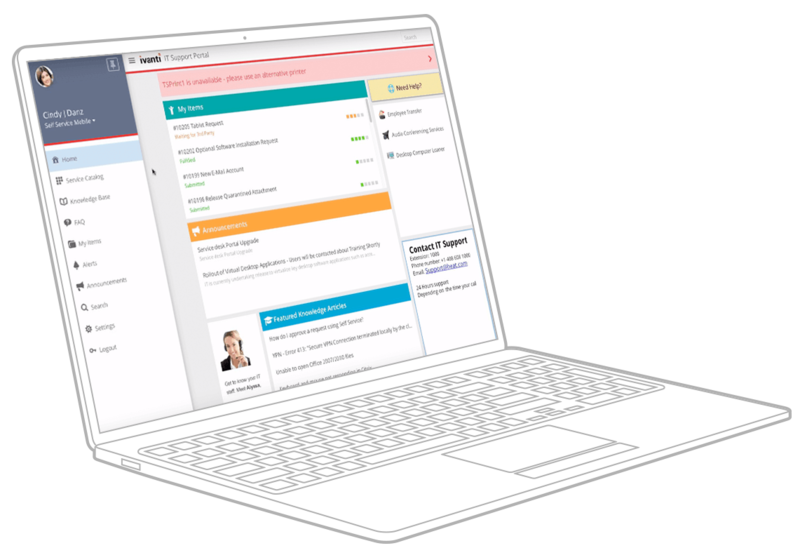 Ivanti Help Desk Software, Ivanti Service Manager’s foundation package, provides an easy to use customer service helpdesk software for dealing with inbound ticket requests from any channel—email, web, social, phone, or chat. It also offers case management, self-service options, and knowledge management combined with workflow and automation capabilities. So IT is more efficient, and users are happier and more productive. We can spend our time implementing new processes and enacting changes that will deliver better service to our users, rather than keeping the helpdesk system up and running. Take advantage of powerful incident and inquiry tracking, case management, advanced integration and unmatched automation. Improve your incident response plan by automating incident processes and communications to quickly understand and restore service operations and resolve IT issues. Gather, analyze, store, and share knowledge and information for both the IT service desk and users. Provide feedback on articles, and full knowledge article approval workflows are built in. Let all users easily submit and track requests through a web-based self-service tool, opening up the service desk for 24×7 customer access. No programming needed, making it easy to tailor IT service automation. Dramatically reduce wait times, transfer rates and abandoned calls. Fully multi-tenant SaaS or On-premise, today or tomorrow —you decide. 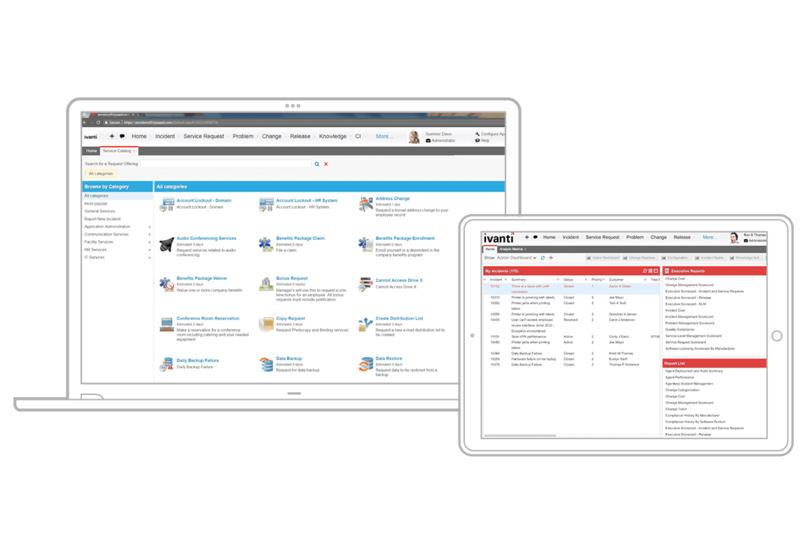 Ivanti is modernizing the service desk, helping IT deliver more value to the business. Improve your alignment between IT and the business to become a more strategic partner. We’re standing by with solutions for your help desk challenges. Reach out and let’s start a conversation. Ready to take the next step? Our helpful experts are ready to help you select the best service management solution for your IT and business needs.